The cruise to Chattanooga began on Sunday September 29th and took 23 days. Five days were spent at Joe Wheeler State Park Marina attending the America's Great Loop Cruisers Associatiion (AGLCA) Rendezvous. 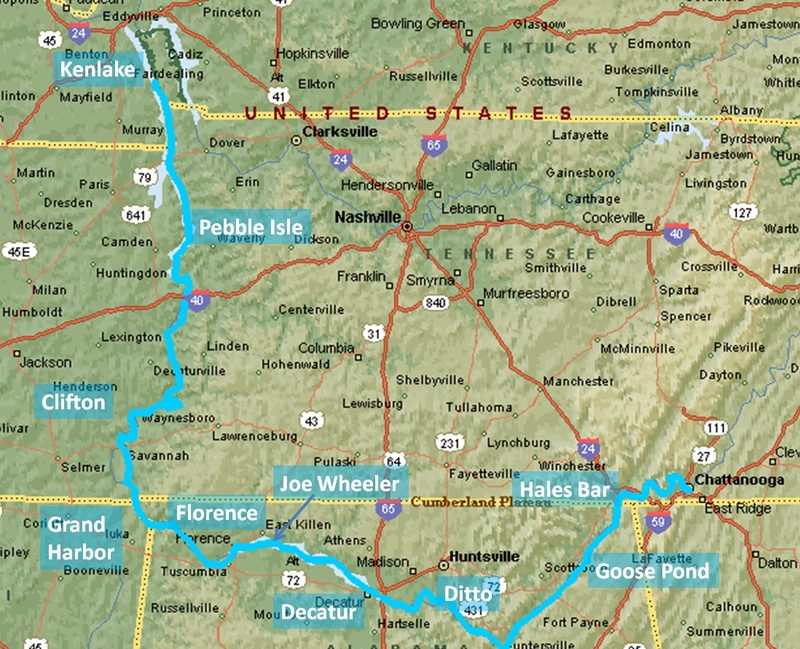 The total river round trip was 844miles from mile 42 at Kenlake Marina to mile 464 at Chattanooga . The Katy Leigh consumed 330 gallons of diesel and averaged about 2.56 miles per gallon cruising at 9 mph through the water. Click here to start the cruise on day 1.